Jennie Garth and David Abrams, who have been engaged since March, married in California on Saturday (11th July). Jennie Garth is married! The former Beverly Hills 90210 actress tied the knot with her boyfriend of less than a year, actor David Abrams, on Saturday night (11th July) in California. Jennie Garth married her boyfriend David Abrams in California this weekend. Read More: Jennie Garth Engaged To Actor David Abrams. Jaimie Alexander stunned on the red carpet as she arrived at Radio City Music Hall in New York for the 2015 NBC Upfront Presentation. She was accompanied by her co-stars from the forthcoming drama 'Blindspot', including Audrey Esparza, Rob Brown and Sullivan Stapleton. NBC Fall Pickups - The End Of Comedy? The full line-up includes 12 shows. 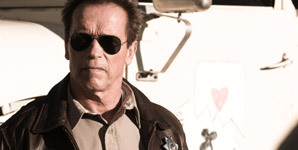 Let’s talk TV pickups. Again. NBC has announced its lineup for next season and it’s bad news for comedy fans. The network is moving in a drastically different direction with the 12 shows announced for 2015/16. After struggling to launch new comedy hits for years, the broadcaster will relegate sitcoms to only one hour per week next season—and that hour is on Fridays, an evening that’s traditionally the lowest-rated weekday for networks. One comedy is the returning series Undateable (which will have all-live episodes for its third season), and the second is new couples sitcom People Are Talking, starring Mark-Paul Gosselaar. 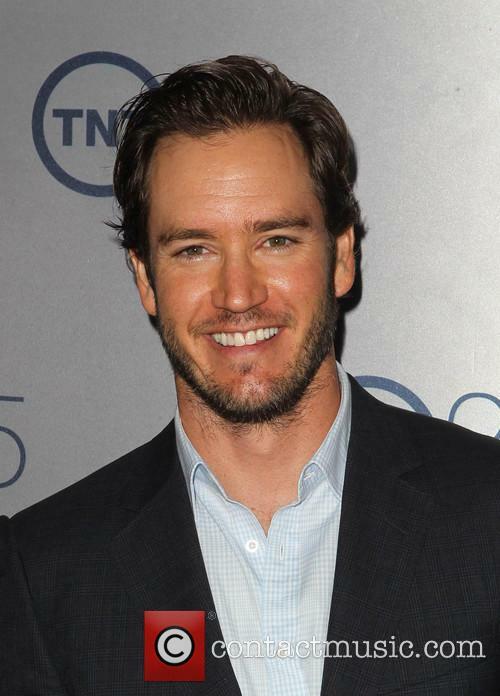 Mark-Paul Gosselaar stars in NBC's upcoming People Are Talking. Nothing too exciting there. 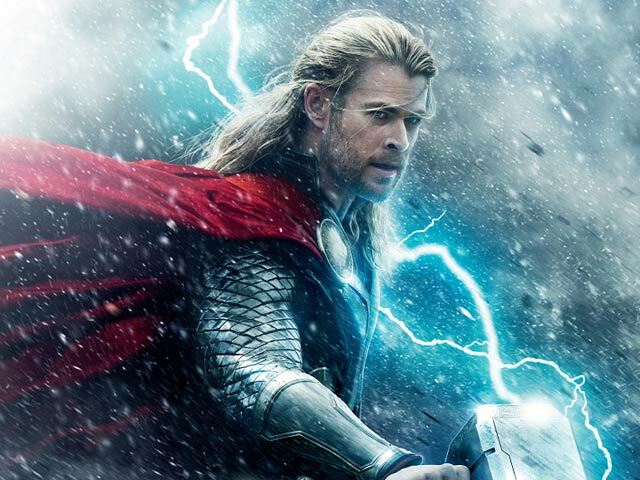 Instead, NBC is banking on thriller and action for this season’s big hitters. New thrillerBlindspot, about a woman (Jaimie Alexander) who wakes in Times Square covered with mysterious tattoos, will get the coveted post-Voice slot on Mondays. The revival of Heroes (titled Heroes Reborn), which includes the return of fan favorites Jack Coleman (HRG) and Masi Oka (Hiro), will debut on Thursdays to help bolster The Blacklist. Continue reading: NBC Fall Pickups - The End Of Comedy? 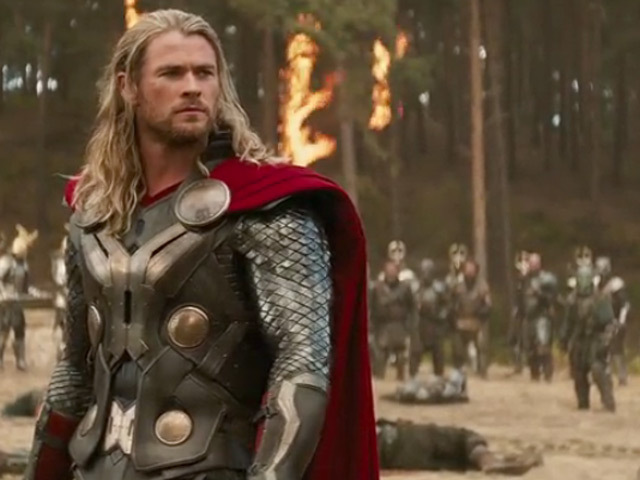 'Thor: The Dark World' has taken a storming $86.1m (£53.8m) in its first weekend. 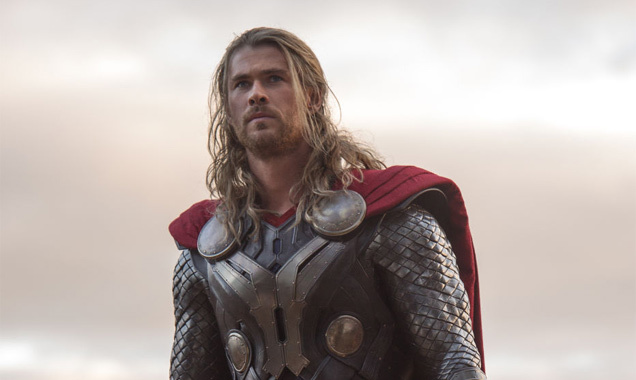 The second movie in the Thor franchise, Thor: The Dark World, has smashed its way to the top of the US box office on its first week of opening, raking in $86.1m (£53.8m) from action-hungry cinemagoers. 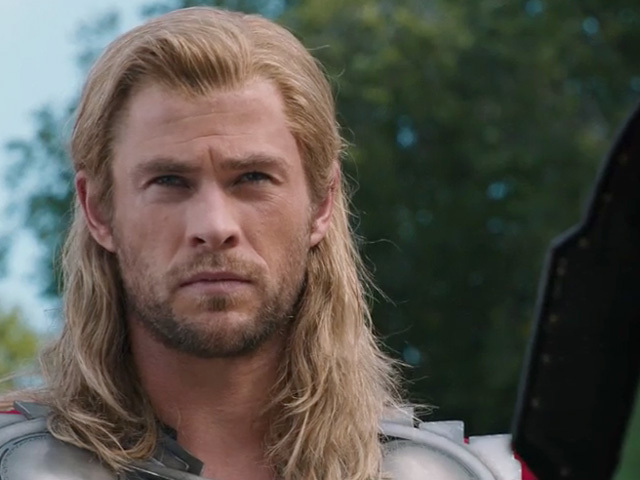 Chris Hemsworth's Thor Has Helped Marvel Enjoy Yet Another Box Office Champion Movie. 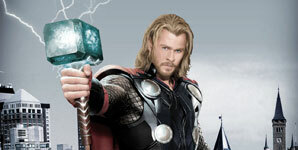 The movie sees Chris Hemsworth's hammer-wielding Thor team up with his evil brother Loki (Tom Hiddlestone) save the Earth from Malekith's (Christopher Ecclestone) even more evil forces. There's rumours of a possible movie adaptation on the radar at the moment for DC's biggest heroine - so who would be your Wonder Woman? Following Christopher Nolan's 'Dark Knight' trilogy and the recent Superman epic 'Man Of Steel', there seems to be one obvious direction to go in next for DC Comics with their film franchises: a Wonder Woman movie, of course. The Amazonian knockout was first portrayed successfully by Lynda Carter in the TV series between 1975 and 1979, and it hasn't yet been put to cinema neither as a solo project for the character nor as a Justice League of America set-up. There have been all sorts of rumours flying about recently with Jaimie Alexander talking a lot about the supposed upcoming Wonder Woman movie and we've got pretty excited discussing who might be considered for the role. So, who do we think would do the Wonder Woman costume 'justice'? 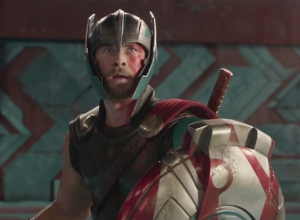 Jaimie Alexander: The 'Thor' actress has set tongues wagging as she gushed about the character in an interview with Forbes. 'I would love for DC to put Wonder Woman in one of their upcoming flicks, either in her own movie or Batman vs. Superman, or just something even to introduce her', she said. Batman vs. Superman, hmm? Does she know something we don't? On the suggestion that she could be the one to play her, she insisted, 'I'm appreciative to the people who ask my opinion of the character, and that's been pretty amazing.' Jaimie would be perfect for the role given her portrayal of Asgardian strong-woman Sif in the 'Thor' movies, and she even bears an interesting resemblance to Lucy Lawless as 90s TV hero Xena, Warrior Princess. Continue reading: Wonder Woman Movie: Who Do You Want For The Leotard And Lasso? Her 'Thor' premiere dress is apparently more newsworthy than the possibility of becoming Wonder Woman. Jaimie Alexander has become one of this week's most talked-about actresses, less for the rumor that she's preparing to become the next Wonder Woman, and more for her daring choice of outfit to the recent premiere of Thor: The Dark World. All Eyes Were On Jaimie Alexander At The 'Thor: The Dark World' Premiere. Indeed, Alexander did turn up wearing one of the most revealing dresses we've ever seen: the bold attire showed us the entire length of her body from neck to toe but was kept "modest" by some clever wavy, opaque panelling. The Azzaro outfit has grabbed headlines because Ms. Alexander is very clearly not wearing any underwear. When she turned and walked away from the cameras, we were hit with the back of the dress which gave an equally surprising flash of buttock. See all our photos of Jaimie Alexender's dress here. No sooner has Jaimie's Superman Vs. Batman role been announced, talks of taking on the Wonder Woman role start to sizzle. Jaimie Alexander made sure all eyes were on her at the Thor: The Dark World premiere when she arrived in the most revealing dress we've seen all year. 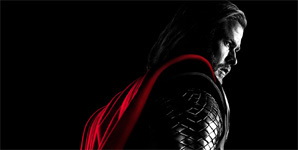 However, everyone's thoughts were mulling over whether Jaimie's Thor character, Lady Sif, was actually going to turn out to be Wonder Woman. Could Jaimie Alexander's Be The Face Of Wonder Woman? If it emerges that Sif will be the female lead in the upcoming Superman Vs. Batman movie, then a Wonder Woman transformation will be a sure bet. Otherwise, it could turn out that Wonder Woman has her own movie with Alexander attached.